One of the leading insurance companies, Intact Financial Corporation has a long history in Canada. They have been offering auto, home and business insurance services with over 10,000 employees. There is a large network of insurance brokers who sell Intact insurance products. Grey Power, Novex Group, Intact Insurance and Belairdirect are brands under Intact Financial Corporation. Intact started as Halifax Fire Insurance Association in 1809 and later became Halifax Insurance Company. They have acquired many insurance companies as part of their growth strategy over the years. Intact Insurance has offices in Toronto, Durham, Mississauga, Ottawa, London and Sudbury, Ontario. Now, Intact also offers ridesharing commercial policies to Uber drivers in Ontario. Intact Insurance did rate filings for all quarters of 2010. Their market share was 7.55% in the 1st quarter of 2010. This decreased to 7.33% in the 2nd quarter of 2010. The market share was stable at 7.33% in the 3rd and 4th quarters of 2010. They did not file for rate changes in the 2nd quarter of 2011. Their market share stayed at 7.33% in the 1st quarter of 2011. Intact market share increased to 10.17% in the 3rd quarter 2011. This declined to 9.98% in the 4th quarter of 2011. The market share decreased to 9.91% in the 2nd quarter of 2012. This stayed stable at 9.91% in the 1st and 3rd quarters of 2012. They did not file for rate changes in the 1st and 2nd quarters of 2013. Their market share was stable at 9.66% in the 3rd and 4th quarters of 2013. There were no rate filings in the 1st, 2nd and 3rd quarters of 2014. Intact market share increased to 10.24% in the 4th quarter of 2014. Intact did not file for rate changes in the 2nd and 3rd quarters of 2015. Their market share marginally increased to 10.42% in the 1st quarter of 2015. The 4th quarter of 2015 saw the market share decline to 10.02%. The market share stayed at 10.02% in the 1st quarter of 2015. This marginally increased to 10.23% in the 3rd quarter of 2016 and there is no update for the last quarter. Intact Insurance filed for rate changes in all the quarters of 2010. The rate change marginally increased by 0.60% in the 1st quarter of 2010. There was no change in the rates approved for the 2nd quarter of 2010. The rate change marginally decreased by 1.79% in the 3rd quarter of 2010. In the 4th quarter of 2010, the rate change increased by 2%. They did not file for any rate changes in the 2nd quarter of 2011. The rate change approved for the 1st quarter of 2011 marginally decreased by 0.24%. This further decreased by 0.43% in the 3rd quarter of 2011. Intact rate change approved in the 4th quarter of 2011 declined by 2.32% in the 4th quarter of 2011. Intact did not have any rate changes in the 1st and 3rd quarters of 2012. The rate change approved in the 2nd quarter of 2012 marginally decreased by 0.06%. This increased by 0.52% in the 4th quarter of 2012. They did not file for any rate changes in the 1st and 2nd quarters of 2013. In the 3rd quarter of 2013, the rate change approved marginally declined by 0.99%. There was a decrease in the rate change approved for the 4th quarter of 2013. Intact Insurance did not file for a rate change in the 1st, 2nd and 3rd quarters of 2014. The rate change approved decreased by 2.83% in the 4th quarter of 2014. In that quarter around 16 insurance companies filed for rate changes. They represented 46.81% of the insurance market. Intact had no rate change approvals in the 2nd and 3rd quarters of 2015. The rate change declined by 1.20% in the 1st quarter of 2015. Around 39 insurance companies filed for rate changes in that quarter. They were representing 73.48% of the industry. This further decreased by 1.14% in the 4th quarter of 2015. That quarter saw 21 insurance companies filing for rate change approvals. They represented 51.23% of the market. There is no data for the 4th quarter of 2016. The rate change approved decreased by 3.08% in the 1st quarter of 2016. The same quarter saw 50 insurance companies file for rate changes. They were representing 83.36% of the market. There was a rate change increase by 5.08% in the 3rd quarter of 2016. In that quarter about 25 insurance companies filed for rate changes. They represented 63.56% of the industry. Intact Insurance offers discounts to car insurance policy holders for various factors. When you have many vehicles insured with Intact you may get a discount. If you bundle your car and home insurance policy with Intact then you may qualify for a 17.5% discount. The amount of savings may also vary based on the insured person’s and vehicle’s profile. If you have good driving habits then that could get you a discount up to 25%. Intact offers standard car insurance coverage that includes liability, DC-PD, uninsured motorist and statutory accident benefits in Ontario. They also provide optional coverage that car insurance policyholders may purchase for more protection in case of a loss. You can add a special endorsement for minor conviction protection that will not increase your premiums for your 1st minor conviction. With responsible driver guarantee option, your first at-fault collision is forgiven. Collision and Upset coverage can be used to claim for damages to your car due to a collision. Comprehensive coverage protects you from loss due to damage caused due to sudden situations other than collision. All Perils coverage includes both collision and comprehensive protection. Specific Perils is used to claim for damage due to specified perils on the policy. If you wish to cancel your car insurance policy then you may contact Intact Insurance. As per your policy conditions, they will calculate your refund. If you cancel midterm, you may have to pay some cancellation fee towards the administrative purpose. To make a claim for car insurance you may call on 1866-464-2424. Intact Insurance gives a 30 minutes claims guarantee when you report a claim. This means when you call to file a claim, a specialist will begin your claim processing in 30 minutes. They can help you with emergency support and guide you about the claims process. If Intact is not able to honor this guarantee then they will pay you the full year premium. This would be paid up to a maximum limit of $1000. You may contact 1855-388-5502 to get a quote. There is also an option to ask for a quote online. This form will help you get a detailed or quick quote. 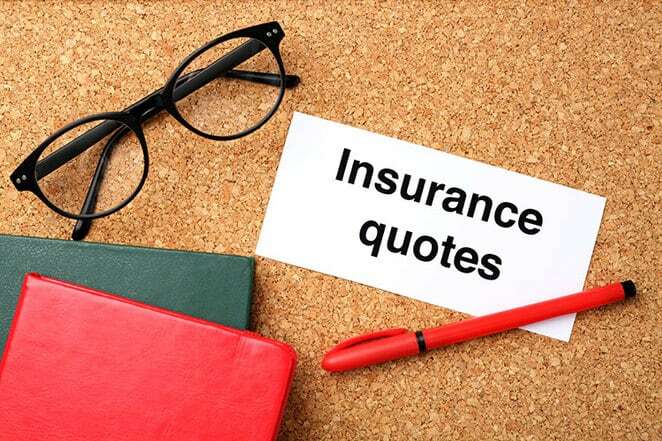 The quick quote will give you a car insurance estimate for 1 car and 1 driver. The detailed quote provides car insurance estimate for 1 or 2 cars and 1 or 3 drivers. You can also save a quote that you had calculated and retrieve it later. Broker: You can reach a broker by using the online form. Phone: The numbers to reach Intact Insurance are 416-341-1464 and1800-387- 8823. If you are calling from U.S. you may call 1800-278- 0674. Fax: You may fax documents to 416-344-8030. Payment: To make a payment you may fill out an online form and provide policy number, insured name and credit card details. We surveyed Intact car insurance Quotes in select Canadian cities for the purpose of illustrating the average quotes for a male driver aged 35 years in city downtown with owned Honda Civic 2012 model car. Please note that car insurance prices depend on many factors including your age, location, driving history and more. So, to get a customized quote, please visit Intact car insurance quotation page. We are not affiliated and make no representations or warranties, recommendations or endorsements of Intact Insurance. This article is our review of Intact Insurance for information purposes only. The logos, trademarks, and copyrights mentioned in this article belong to the Intact Insurance.